Life Tastes Good » 2013 » April - A diary of food and wine from the perspective of a passionate cook who is inspired by the colors and flavors of the changing seasons. The warm”ish” weather finally seems to be here to stay, and so our grills and deck are officially open for business! I’m dusting off my bbq and grill recipes along with some fun accoutrement ideas. 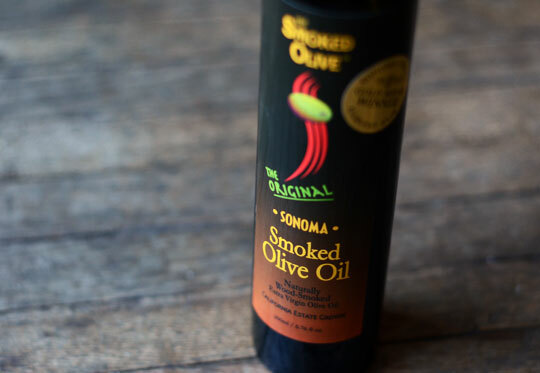 My mind is set on using the olive oil that I bought during my last trip out to California… The Original Smoked Olive Oil from the company the Smoked Olive. I was strolling back to my hotel in La Jolla after dinner one evening, and I passed a charming little shop called We Olive. They sell all sorts of olive oils and vinegars from regions of California (and even have wine tastings with bizarre varietals from all over the state! They specialize in bringing in wines from artisanal producers with small case production – I tasted 100% mourvedre from Santa Barbara as well as a Roussanne from Mendocino!) 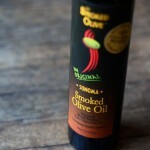 Getting back to the oil… The smoked olive oil caught my eye, so I asked to taste it. The obvious “wood fire” flavor, to my pleasure, was not masking the rich and buttery tone to the oil. It had all the characteristics of a quality olive oil with the added smokiness. They cold smoke the oil, giving it the flavor without exposing it to heat or light. The result is fabulous and the uses for it are endless! I’ve drizzled it over warm potatoes or hearty greens in the past, but today I wanted to use it in a different way. I made a vinaigrette with this oil, some aged balsamic, and a touch of garlic. The result was a smooth and elegant dressing that reminded me a little bit of an upscale barbecue sauce. So here is the recipe that I built around it! Combine water and farro in a small pot. Add salt, and bring to a boil. Reduce heat to low and simmer until farro is cooked through, about 20 to 25 minutes. Drain the farro and place in a large shallow bowl and cool to room temperature. Meanwhile, combine onion, tomato, chives, and parsley in a medium sized bowl. Set aside. Whisk the garlic and balsamic together – and continue whisking, adding the oil in a steady stream, until the vinaigrette is combined. When the farro is cool enough, add to the onion/tomato mixture. Dress the salad with the vinaigrette. This can be served right away or kept overnight in your refrigerator. Bring to room temperature before serving. Serves 4 as a side. 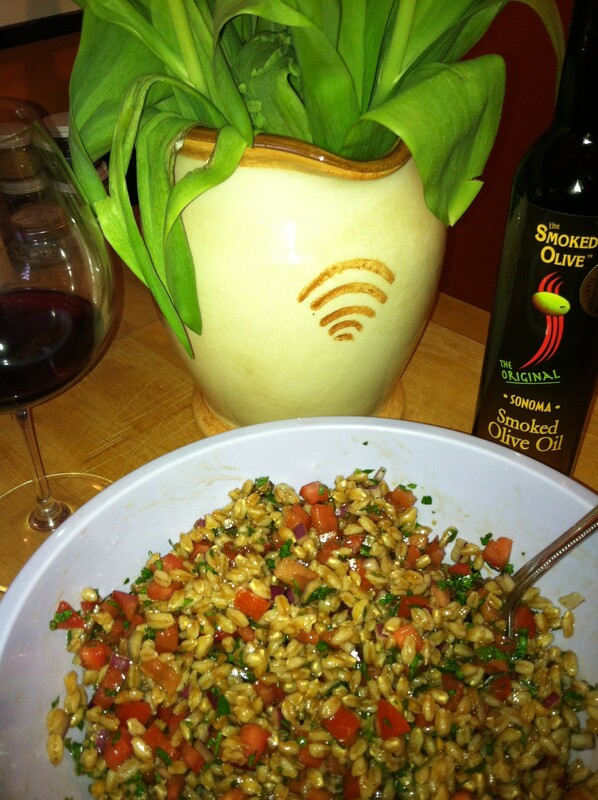 You are currently browsing the Life Tastes Good blog archives for April, 2013.